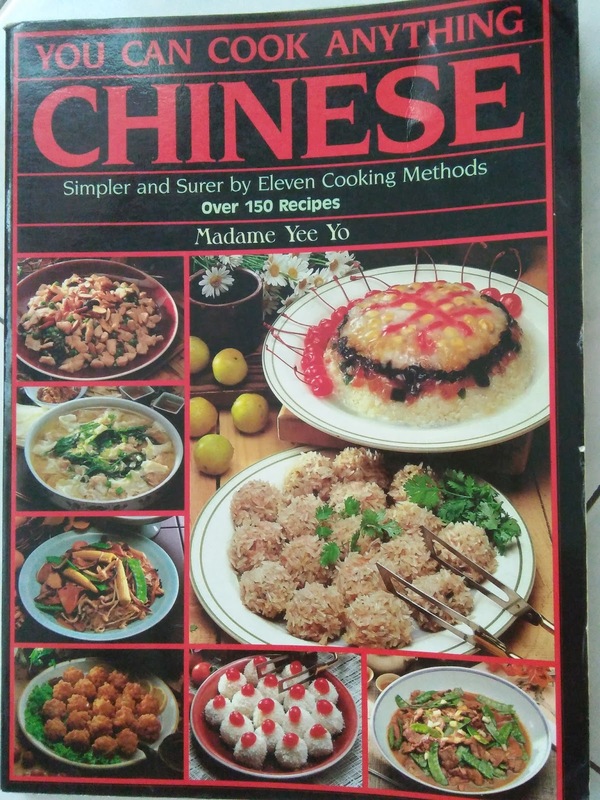 According to the Chef of this cookbook, sweet and sour dishes are usually associated with Deep-frying. 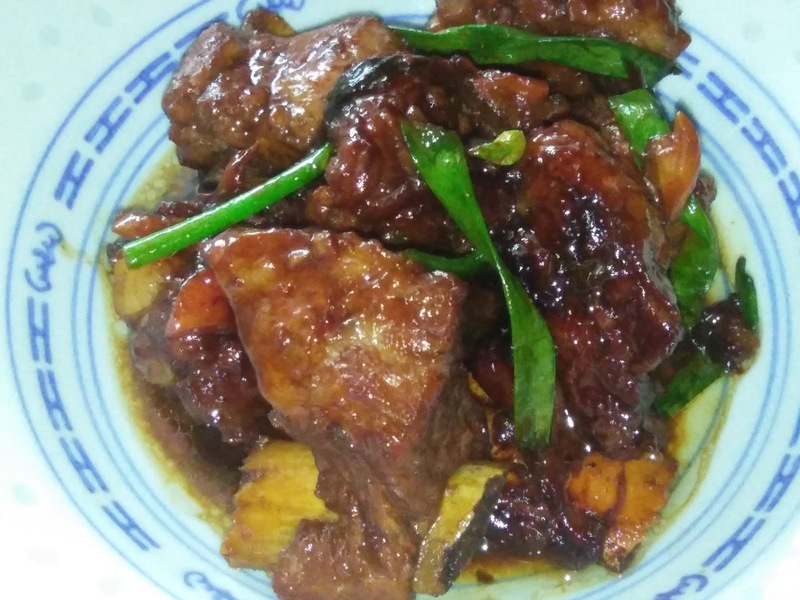 However, she has come up with this delightful dish which requires only frying and stewing, yet the end result is awesome. 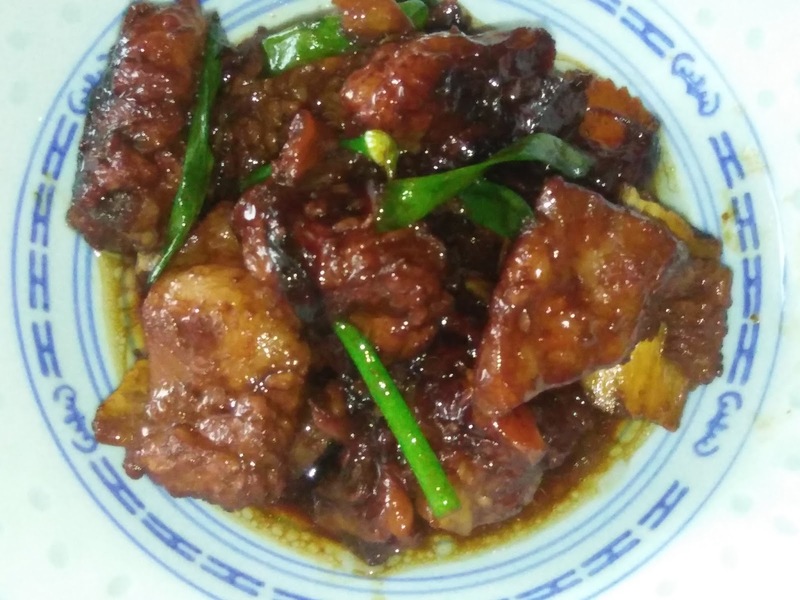 Best of all, this dish can be prepared in a large quantity ahead of time without much effort if you have a crowd to serve. 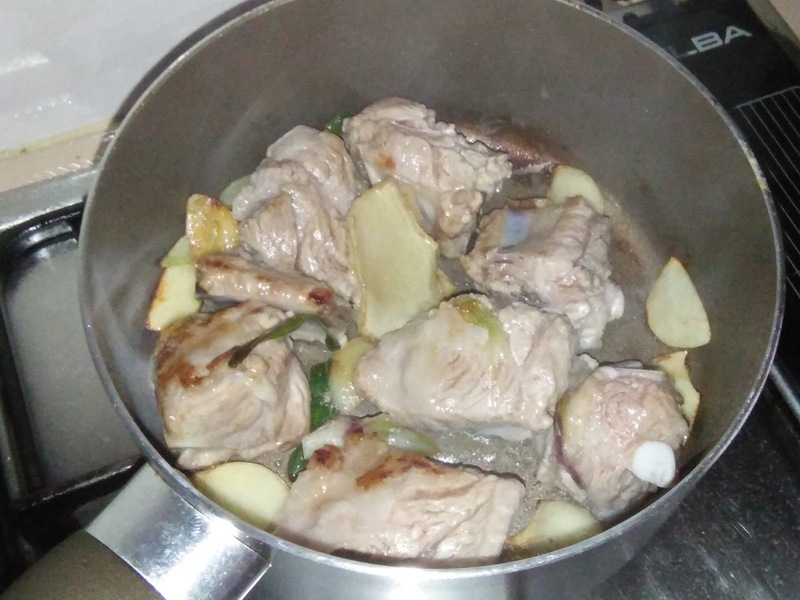 All you need to do is to refrigerate or freeze it then reheat just before serving. Oh! 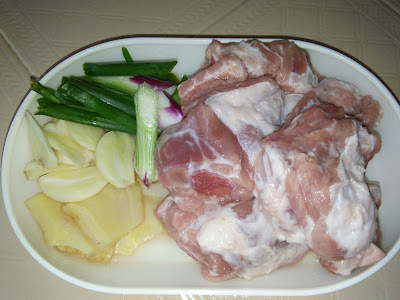 I love preparing this kind of dishes which means no sweating in the kitchen before meal time. 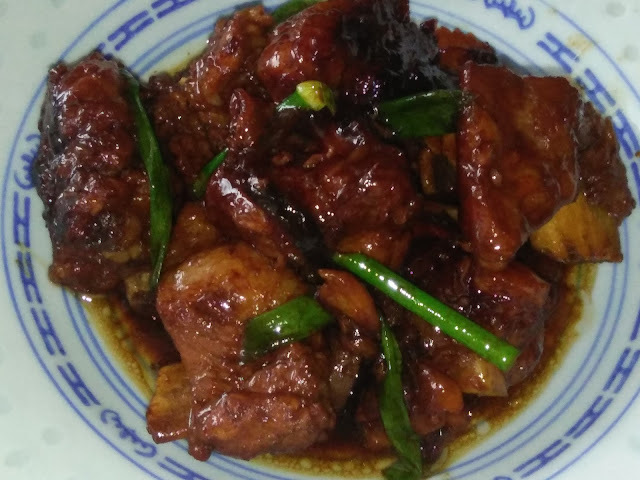 This dish is aromatic when well braised and tastes like soy sauce pork ribs with a slight sourish sweet taste. Nice. Here, I have prepared only a small portion which I have regretted. I should have prepared the whole portion. 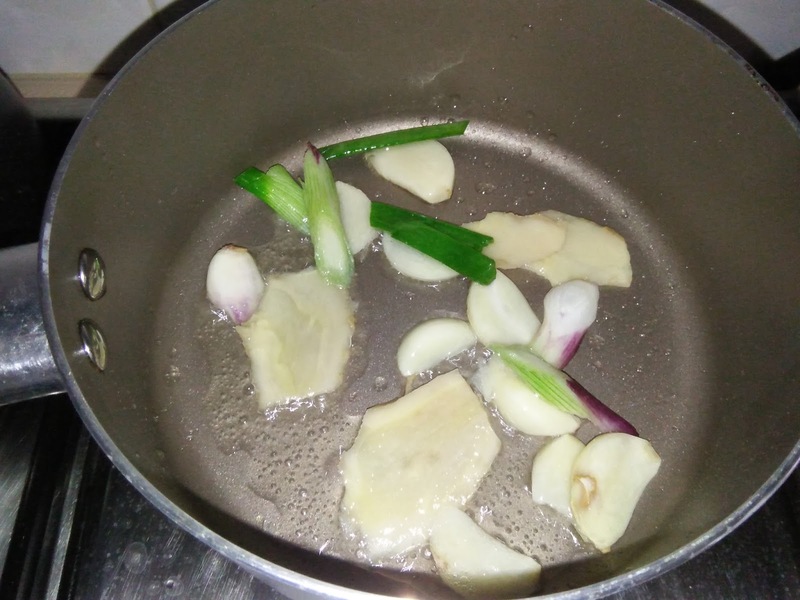 Heat a non-stick pan with oil, sauté ginger, garlic and spring onions until aromatic. 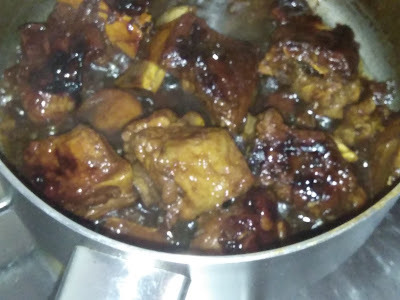 Push aside, add in spareribs to fry and brown over medium heat. 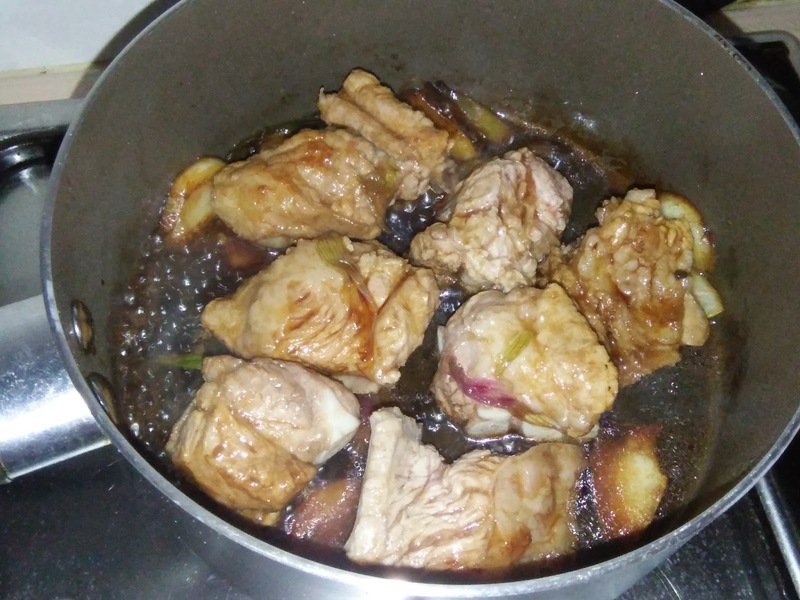 Add in the seasoning, stir fry until meat pieces are well coated with the seasoning before adding water. 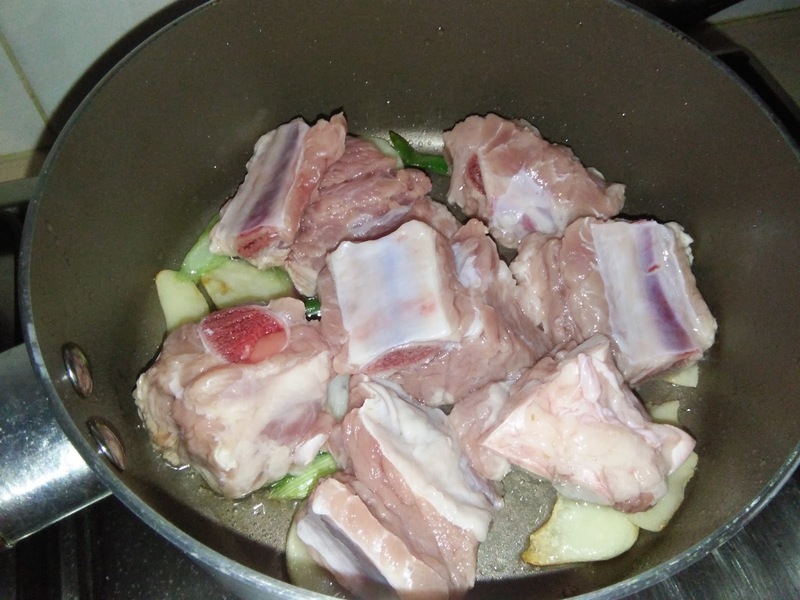 Bring to boil, cover and simmer over low heat for about an hour or until ribs are tender and sauce reduced. 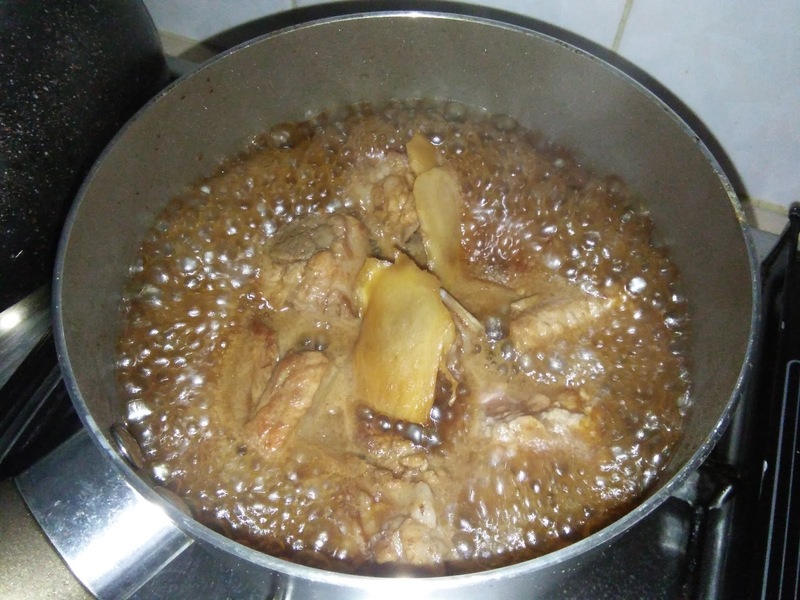 Stir occasionally while simmering. Skim off excess fats if preferred. This dish maybe prepared ahead up to this point, refrigerated or frozen, then reheated just before serving with salad leaves or quick stir fry spinach or bok choy etc. 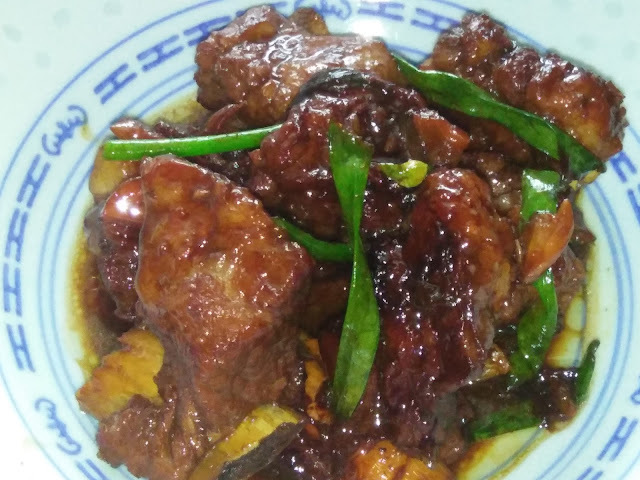 Kimmy, your sweet and sour spareribs sound and look delicious! 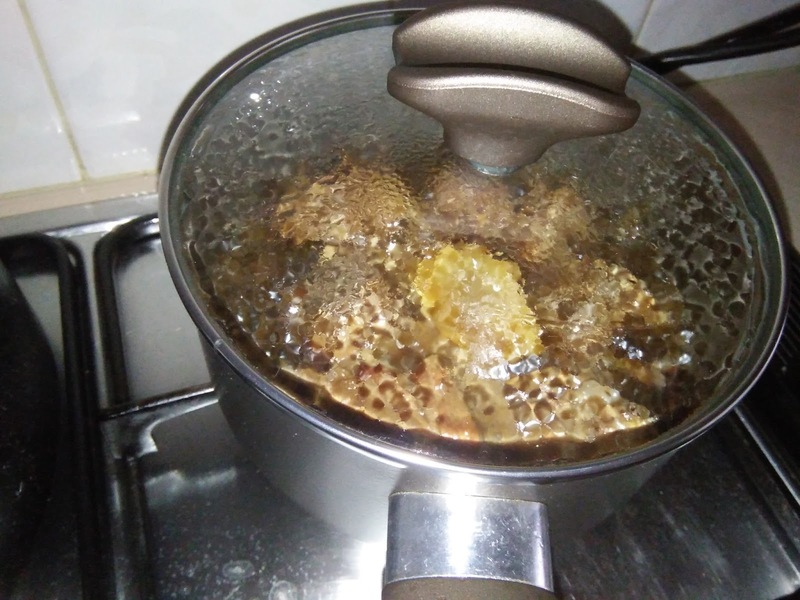 Good that it does not require deep frying. Hi Phong Hong, as you know I shy away from deep fried food because I hate to discard the oil. Trying pan fry method is a good option. Really not much of difference, perhaps no crispy edges, that's all. Hi Joyce, yes I will. 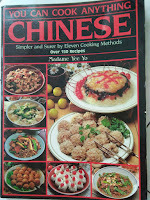 I'm beginning to love the recipes in this book too because many can be prepared ahead of meal time. Great dish to prepare when I anticipate busy days ahead.